Considering jewellery re-modelling? View one of our latest projects below. You will see the stages of work for this beautiful ring we re-modelled. David Hall jewellers are specialists in jewellery re-modelling. People have jewellery re-modelled for many reasons. It could be you have been left a piece by a loved one, which is not entirely your style. Often you maybe tempted to sell the piece of jewellery, however there are other options you could consider. Inherited rings can be often upgraded into new designs. Keeping your sentimental value, whilst giving the piece a whole new more modern look. This works with other pieces of jewellery as well. Perhaps you have a necklace or bracelet; we can re create new pieces of jewellery from your old. We often get asked to make earrings from the stones from a necklace or ring. The possibilities are endless when it comes to re-modelling jewellery. If you have yellow gold jewellery you no longer want. We can change the old gold jewellery into a more contemporary setting using white metals. This way we will use your old stones and have them set into a new ring. The unwanted gold can then be used in part payment towards the overall cost of the new ring. Re-modelling jewellery may involve a totally new creation with new stones. Or just the addition of new metals or remaking of a component part. All jewellery re-modelling projects are carried out in our own workshop in Gosforth, Newcastle. 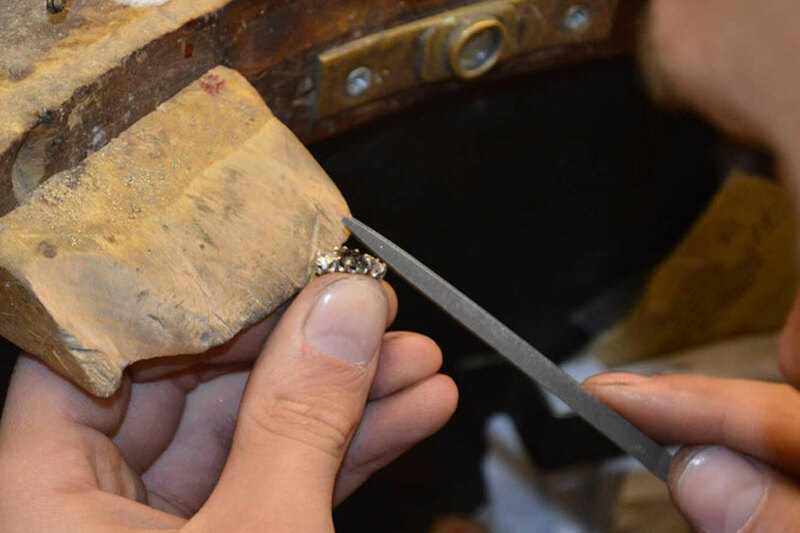 Our design expertise and experience will help you achieve a beautiful re-modelled piece of jewellery. Call into our jewellery shop to see what we can do with your old pieces of jewellery. You can find out more about our jewellery re-modelling services on our dedicated page. Why not join our Facebook page to keep up with all our latest news and offers?